While kids are goofing off, parents can also join in on the lighthearted fun -- we could all use a break from the serious once in a while! Some of my favorite childhood memories are from the lazy days of summer, just being a silly kid with my friends and family. Days were filled with mud pies, water fights, and even giggles from whoopee cushion pranks. But, childhood today can be serious business. While the rest of the year is packed with school activities, homework, sports teams and music classes, summer vacation is the perfect time to encourage kids to embrace childhood with silliness and laughter. And, while kids are goofing off, parents can also join in on the lighthearted fun -- we could all use a break from the serious once in a while! 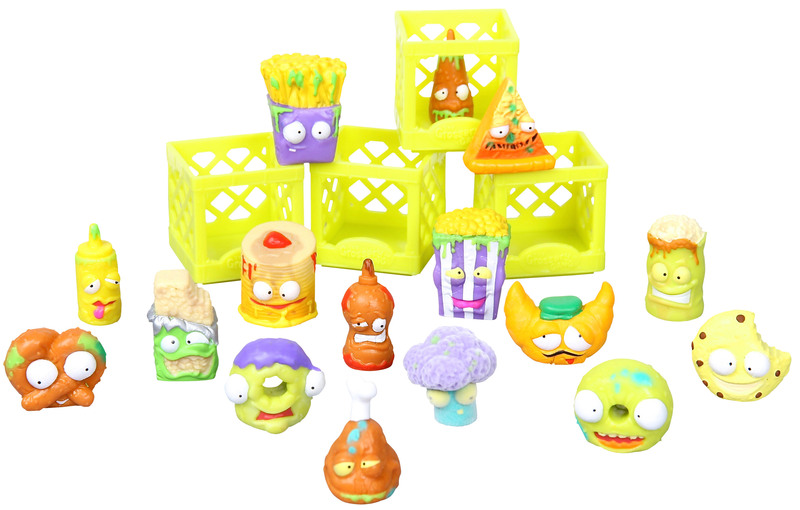 Gross humor hits the toy aisles this summer with a slew of wacky toys, the Grossery Gang. The new line, from the makers of Shopkins, brings a dash of the disgusting to the collectible trend. Each package has been designed to look like every day snacks found at a convenience store -- but include some not so fresh, musty, and moldy finds inside, with over 150 pint-sized characters such as Putrid Pizza and Fungus Fries. Serious collectors can also hunt for Limited Edition characters, including Faked Beans or the Ultra Rare characters such as Shoccoli Broccoli. There's also a Yucky Mart play set with a giant slushie machine for the characters to slide down. These characters are just a little passed their expiration date. Gross! Introducing the most adorable pooping dog! 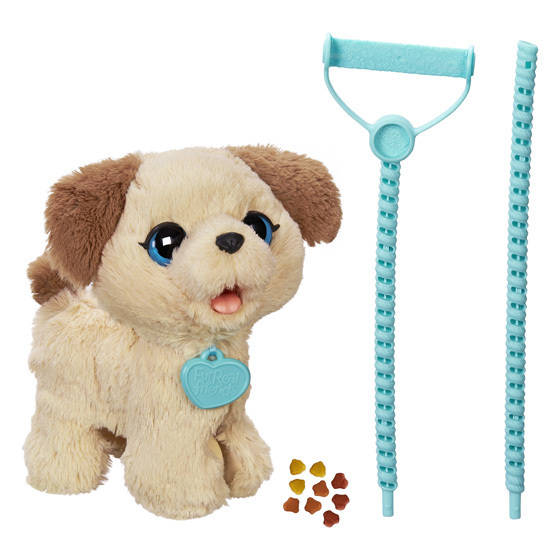 Pax is a tiny dog with a big personality, and kids can take care of him just like real puppy. Kids will be able to feed him, take him for a walk, and also clean up after he poops. Yes, there are farting sounds, but they're bearable and will totally make kids (and adults) giggle! Kids then clean up the poop pieces and store them in a clean up bag. Pax is an amazing way for parents to introduce the concept of pet care to their kids if they're unsure if they can handle the responsibility. Kids will learn to take care of Pax, including the importance of feeding and clean up. So remember, everyone poops -- even your toys. Imagine how many laughs from kids any fart sound guarantees. Now imagine how many laughs from kids Booger Balls would induce. Just like it sounds, Booger Balls, are ooey, gooey, slime-filled balls that are perfect for epic battles. 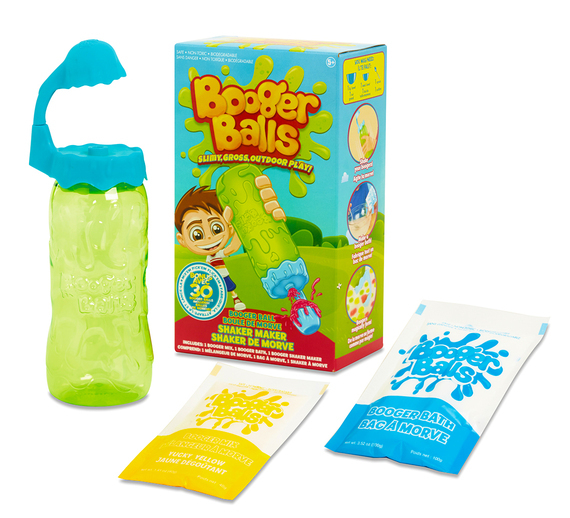 With this set, kids can create their own batch of either green, yellow, or red balls. Once they're ready, it's time to flick them for messy and gross outdoor fun! Whoever smelt it, delt it, right? In this game, players must pass Guster the Gass Cloud around and press him as many times as the number shown on cards delt to them. If players get lucky, they can receive other cards such as skip and reverse. When Guster farts during a player's turn, then he or she is out! Whoever is the last player to keep Guster from farting on his or her turn wins. Watch out, he's ready to rip!